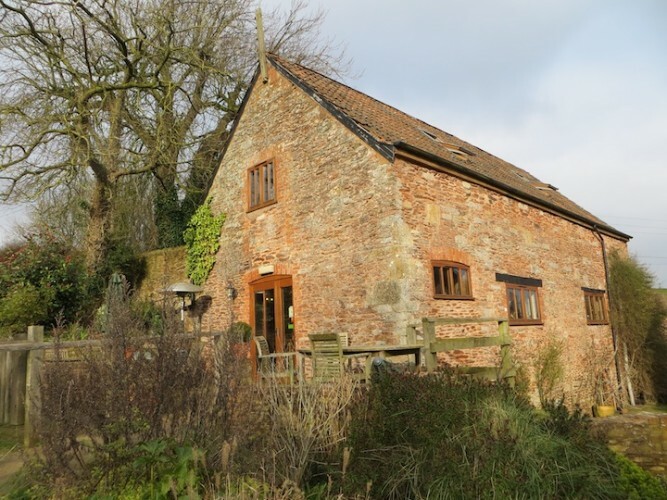 The last time I was at Clavelshay Barn in North Petherton, not far from Taunton, it was me doing the cooking (on one of their excellent cookery courses). I thought I’d hand back the oven gloves to head chef Olivier Certain when I went back last week – after all, the restaurant’s recently scooped up loads of awards, including three Taste of the West Awards: a Gold, the Best South West Restaurant and the overall No 1 Place to Go trophy. 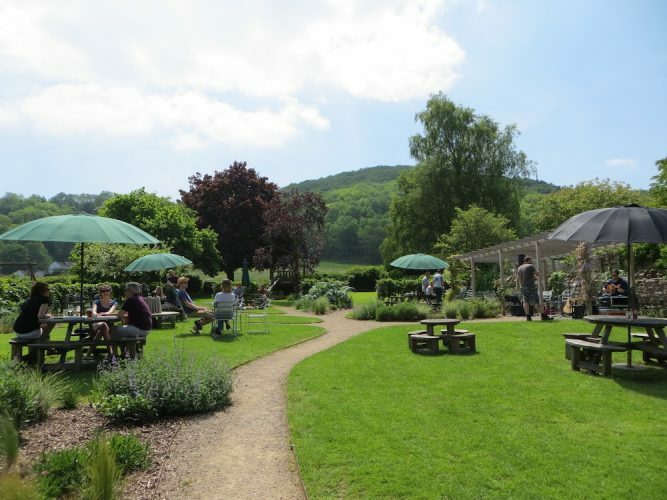 The restaurant’s in a converted traditional stone barn on a working dairy farm on the edge of the Quantocks, where the soil is a deep, dusty red and the sheep are tinged with pink. 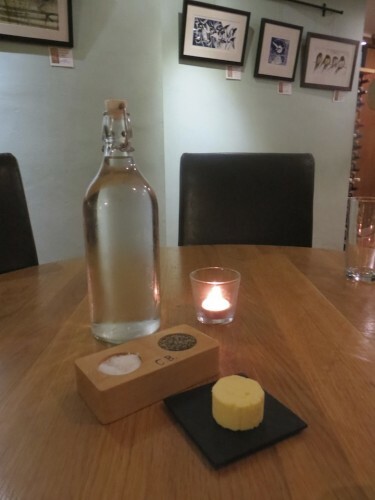 It’s spread over two floors (cosy downstairs and spacious upstairs) and homely, with oak beams, exposed stone and original artworks by local artists for sale on the walls. There’s even a bunch of Somerset willow in a corner. 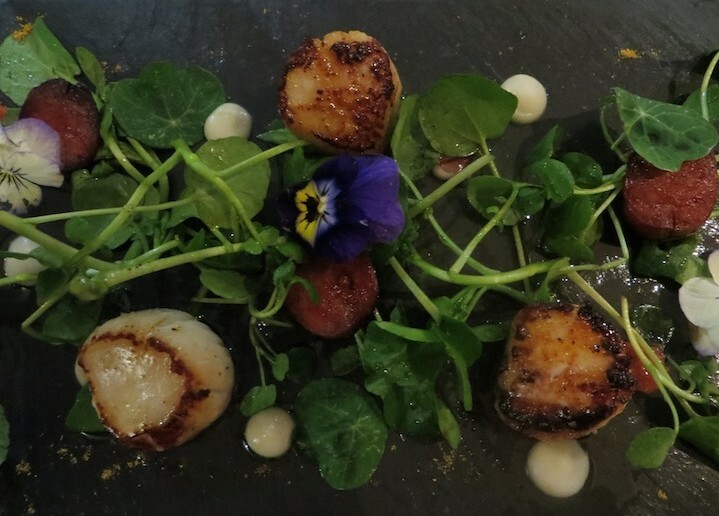 The setting may be simple but the food itself is sophisticated, with a menu that’s Modern British with a French twist – Olivier (not Oliver) comes from Provence in the south of France. 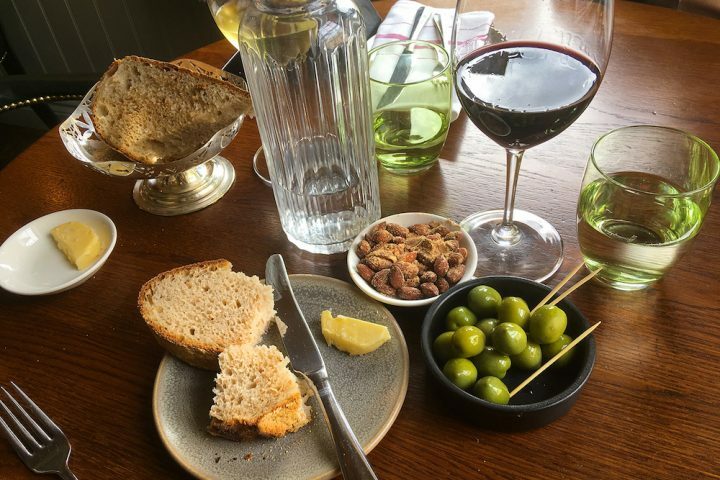 The emphasis here is on high quality, local, seasonal produce, with everything from the veal to the vodka coming from their own farm, the surrounding countryside or local suppliers. The restaurant’s owned by Sue and Bill Milverton; Sue runs the restaurant while John and their sons get on with milking those cows. 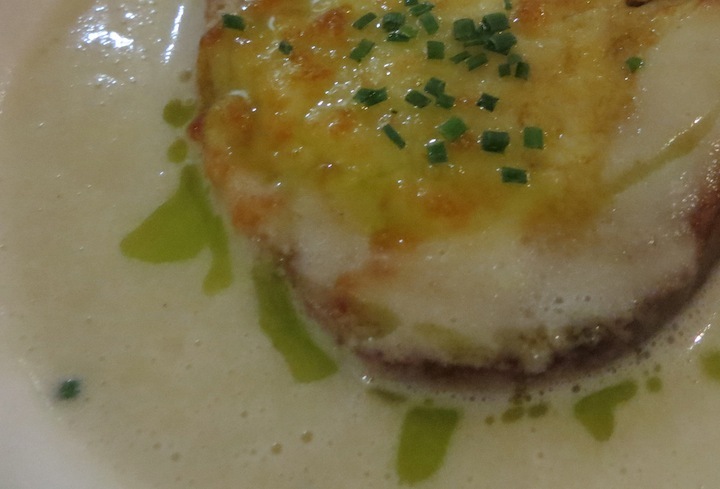 First came a very grande amuse-bouche, which if I’d been at home (and had my own personal chef) would have been sufficient as a light supper: a delicious creamy celeriac soup with a sort of cheese toastie floating on top. 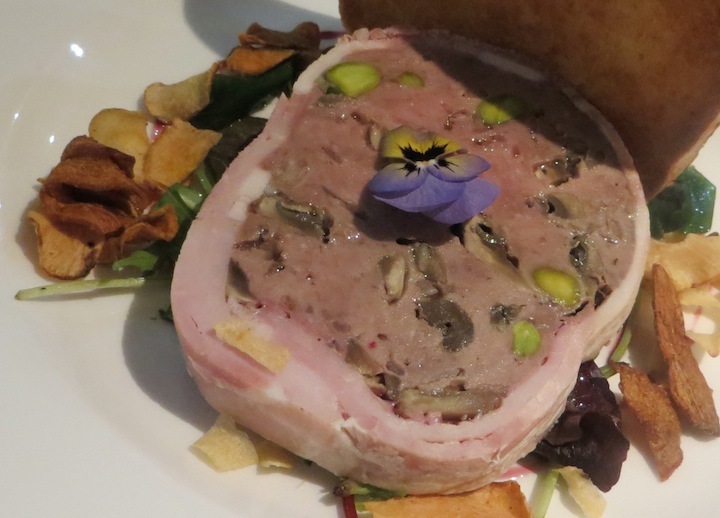 …and from the main menu, a coarse game pate with pistachios wrapped in bacon, with fig chutney and toasted brioche. I’ve had game pate before but never one quite like this, made from pheasant, partridge, rabbit and venison (all from the surrounding countryside) and pork. To follow, a choice of five mains, again, two meat, two fish, one veggie and a daily special (a stonking chateaubriand for two) – so something for everyone. 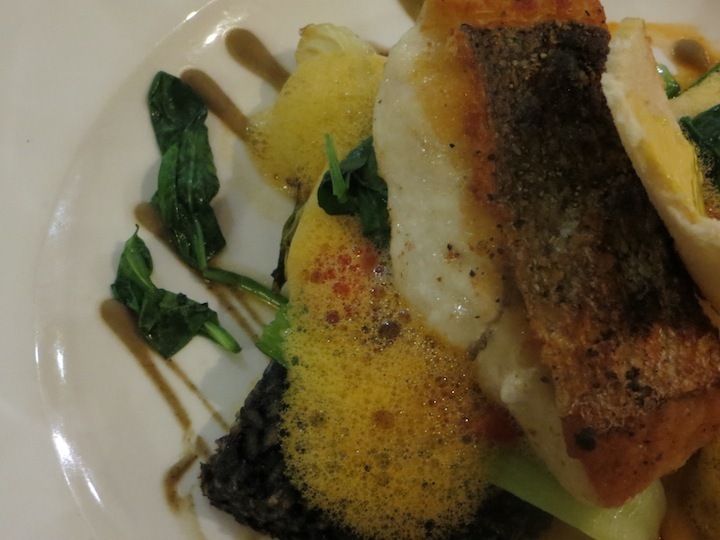 Here’s the pan-seared fillet of Lyme Bay hake with a crunchy little risotto cavolo nero cake, red pepper compote, braised fennel, bouillabaisse juices and aïoli – the mayo I can never pronounce – in a West Country meets south of France combo. 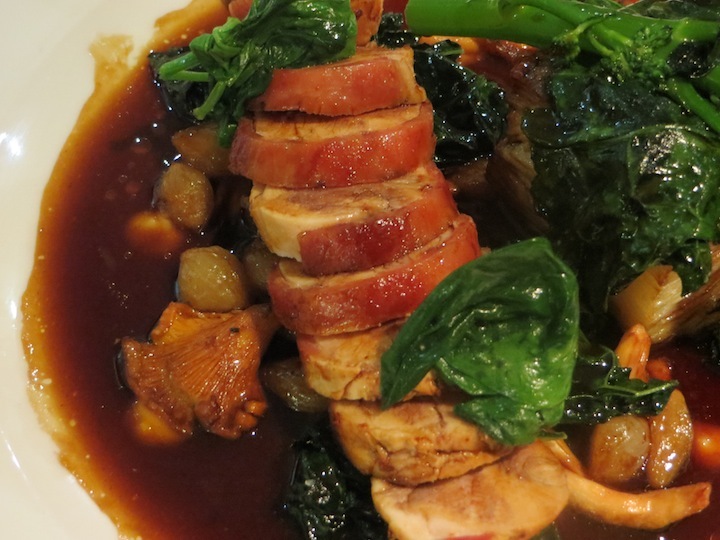 And the coq au vin: ballotine of free-range Creedy Carver chicken supreme wrapped in bacon, with gratin dauphinois, girolle mushrooms and baby onions, red wine syrup and winter greens. Fantastic. Why didn’t I move that leaf? Everything was delicious and the portions huge but there was still just enough room for dessert (isn’t there always?). 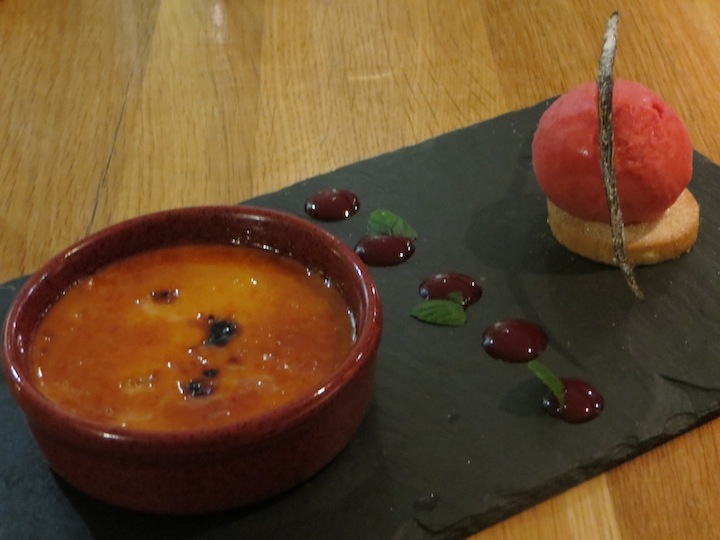 Here’s the yummy crème brûlée, raspberry sorbet and shortbread. 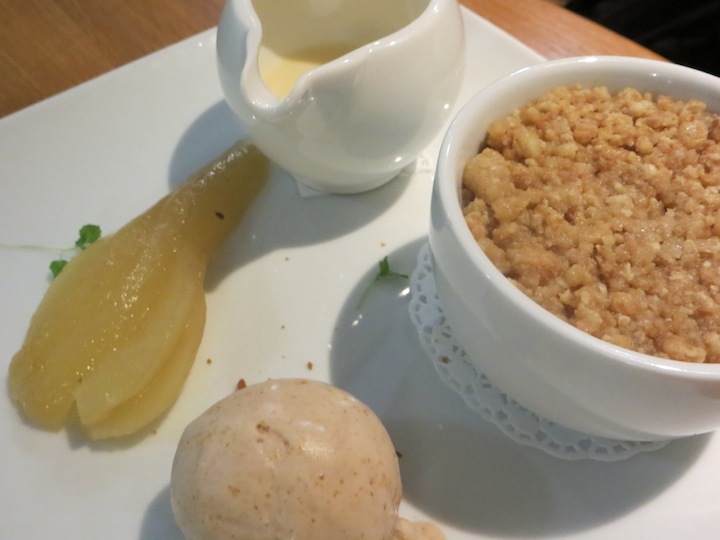 The apple and cinnamon crumble came with with spiced poached pear, cinnamon ice cream and a crème anglaise made with cider. Sue suggested local wine to accompany the food: a Greenhill Estate chardonnay pinot noir from the Stocklands vineyard in Bridgwater (yes, I did a double take when I heard that, too) and Jane’s 2014 from the Oatley Vineyard near Cannington. Both very good. 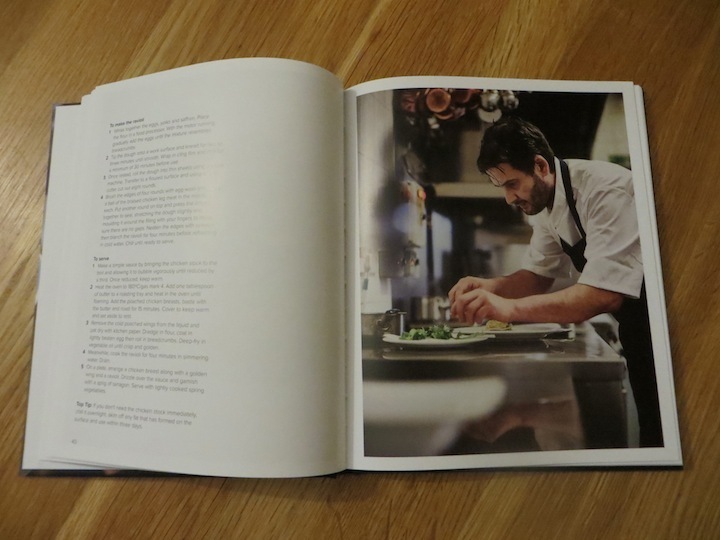 We didn’t go into the kitchen but we did see Olivier at work … in the new book A Taste of the West Country, which contains recipes by Taste of the West Gold Award winners. A great Christmas gift (you can buy copies at the restaurant). 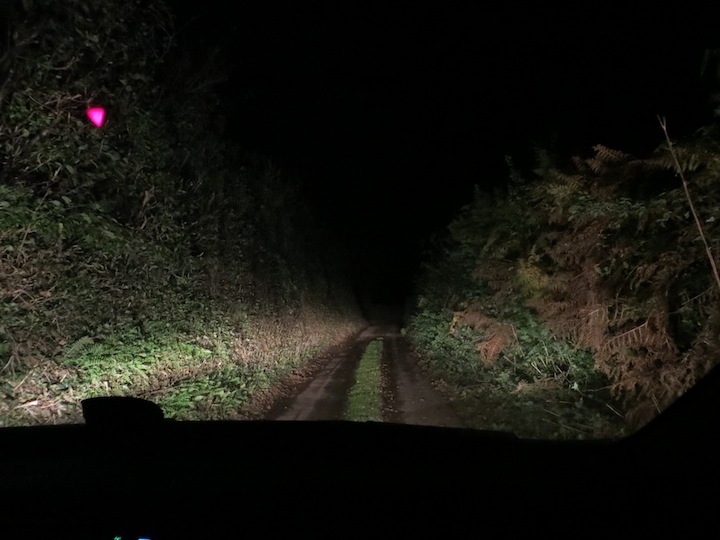 Clavelshay Barn is in an idyllic rural location (though Taunton, Bridgwater and the M5 are all within easy reach) but I’d recommend using a satnav to get there when it’s dark – this is one of the lanes (and a flying plectrum) near the farm. 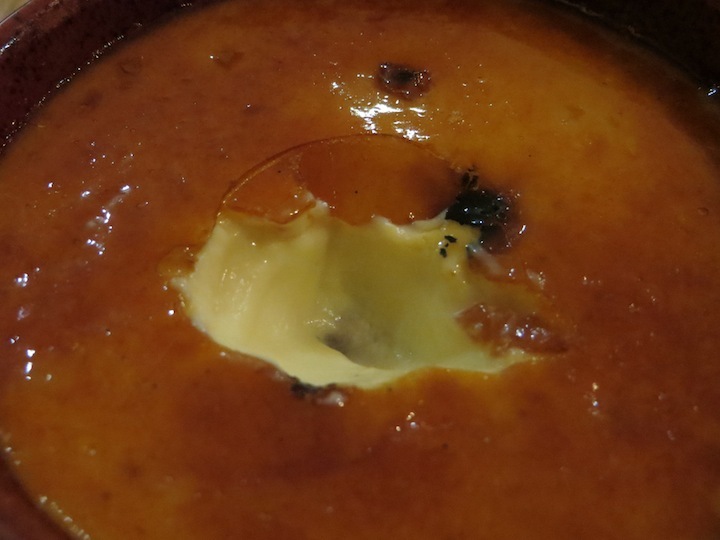 Good for: anyone who appreciates good food – the cooking is superb. Non-meat eaters: 3 out of 5 the starters and the mains are fish or veggie. 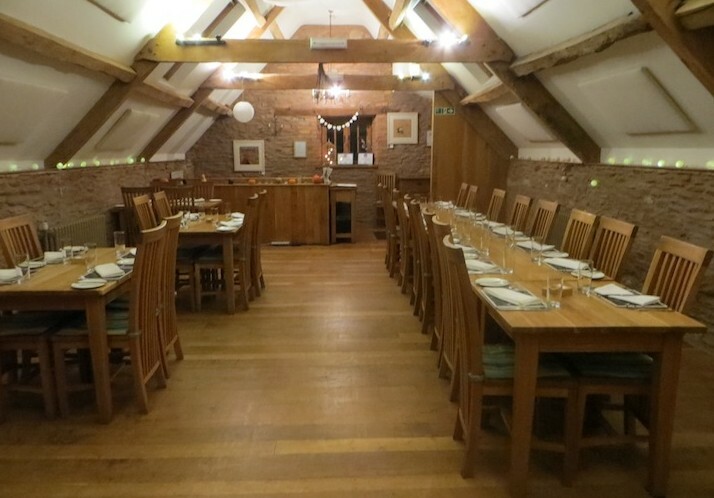 The downstairs is cosy for couples and smallish groups during the evenings; there’s plenty of room upstairs for the largest of gaggles to get together over Sunday lunch (did I mention it’s also won Somerset Life‘s Food and Drink Award for Best Somerset Sunday lunch?). 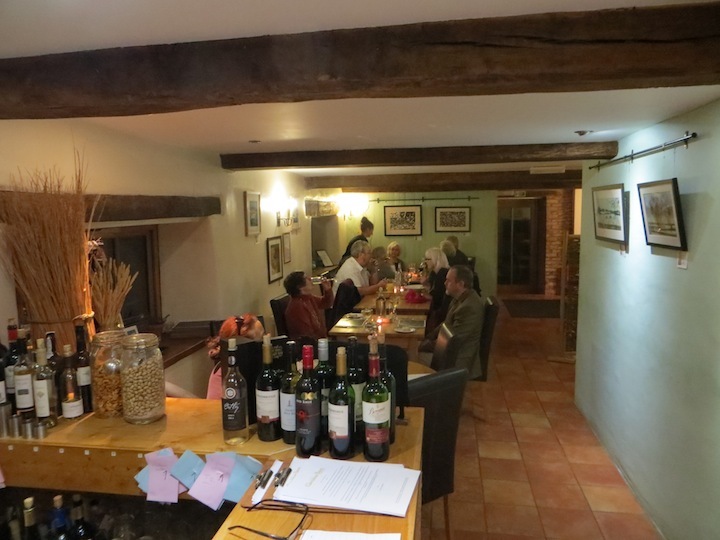 Not for: those who require designer surroundings when they’re eating – this is fine dining in a homely atmosphere. Evenings it’s not a place to bring younger children (this is grown up food) but Sunday lunch would be fine as they do smaller portions for kids. £££: Moderate. Starters £5.95-£8.50; mains £13.95-£19.75 and on the daily special a Châteaubriand to share, £50. Desserts £6.25-£6.50. West Country cheeses £7.25 for three; £8.50 for full selection. 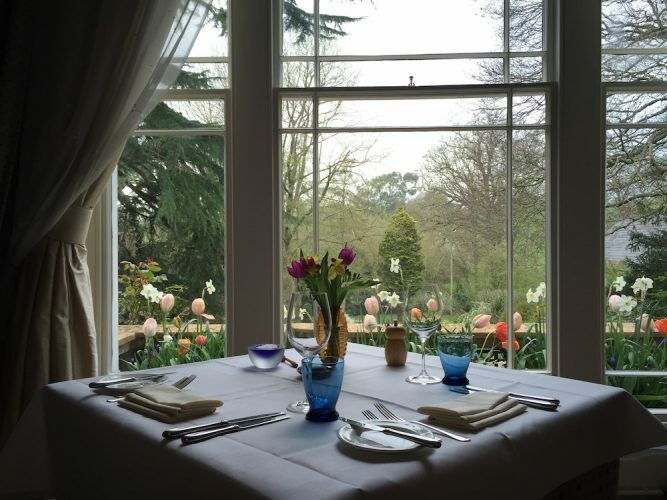 Sunday lunch (menu changes weekly but always beef, one other meat and fish): 2 courses £18.50; 3 courses £21.50. Opening hours: Weds-Sat, 7pm; Sunday lunch from 12pm-2pm (and at other times for private events).